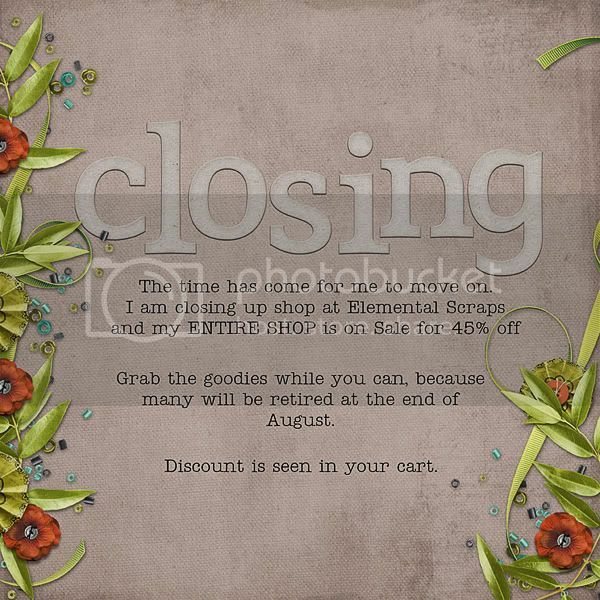 geniaBeana Scraps: Store Closing Sale! I've reached a major goal and milestone in my designing career and with the changes that are happening at Elemental Scrap I have been faced with a difficult choice. I would be unable to continue on my path toward my goal and as an exclusive designer at ES so it is with much sadness I am closing up my Elemental Scraps shoppe. I'll be announcing the location of my new shop soon.